​Crystal Palace host Fulham in a London derby on Saturday afternoon, as the visitors look to avenge their opening day defeat. The Eagles handed Fulham their first loss since getting back to the Premier League, winning 2-0 at Craven Cottage last August. The Cottagers are looking to get back-to-back wins for the first time this season, having beating Brighton 4-2 last Tuesday. Crystal Palace will look to bounce back quickly from their disappointing 1-1 draw against Southampton on Wednesday. Here's 90min's preview of Saturday's ​Premier League clash. ​Crystal Palace will be without talisman ​Wilfried Zaha after he was sent off against Southampton. Roy Hodgson will be relieved to have no new injury concerns, with goalkeepers Wayne Hennessey and Vincente Guaita both back to full fitness. Defender Pape Souare is still sidelined with a shoulder injury. ​Fulham are still without Aboubakar Kamara, who has been suspended by the club following ​his arrest at their training ground recently. Joe Byran is a doubt for their trip to south London, while Alfie Mawson and Andre-Frank Zambo Anguissa both remain unavailable due to injury. Crystal Palace and Fulham have met 44 times, with Fulham having won more games with 17 victories. The Eagles have only won 12 of their meetings, with 15 draws between the two sides. The last time these two met was on the opening weekend of the Premier League season in August, in Fulham's return to the top tier. However it was the visitors who triumphed at Craven Cottage, as Jeffrey Schlupp and Zaha gave Palace a 2-0 lead. The two sides haven't had a goalless draw in the 21st century, with the Eagles are aiming to record their first double over Fulham for the first time since 1930, when they won 4-3 and 2-1. 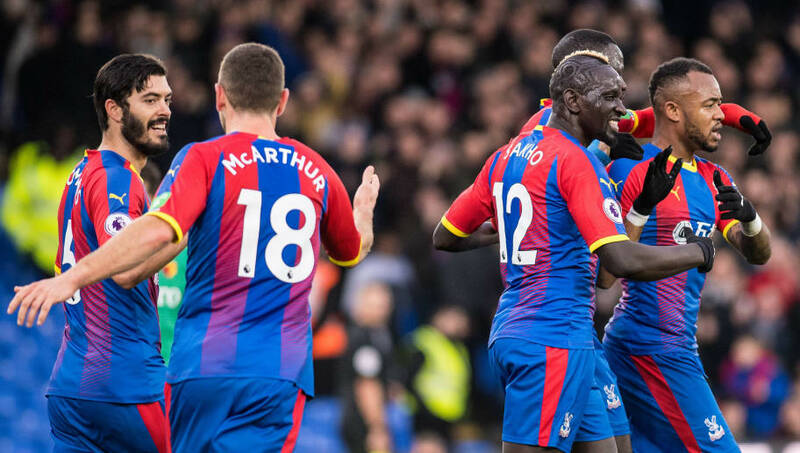 ​Crystal Palace will look to put their draw with the Saints behind them and build on from their FA Cup success last week, as they knocked ​Spurs out in the fourth round. Fulham picked up their first league win in four games, as they came from 2-0 down to ​beat Brighton 4-2 at Craven Cottage. It was a pleasant sight for Claudio Ranieri's side, following their elimination from the FA Cup and a poor run in the Premier League. ​It is certain to be a tight affair in south London, with both sides eager to pick up a crucial three points. With Fulham starting to find their feet once again and Crystal Palace hoping to build on from their strong performances, a draw looks most likely at Selhurst Park.